Trying to fit in any quality workout with our busy lives can be a challenge. New modern homes are short on space, and getting out doors can make for a polluted and traffic filled environemnt. Trying to make good your promosies on self improvement can be difficult. That’s where a good quality home compact treadmill can com in. Since running is One of the most important means of improving your health and fitness; finding ways of getting a quick, safe and affordable working out in is really useful. 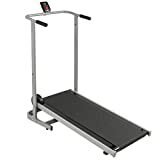 Treadmills, of course, accomplish this admirably, and many happy owners attest to how a good, readily-available treadmill has changed their life. 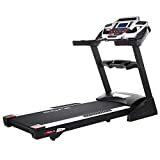 The best small treadmills don’t take up much space in your living room or bedroom, and deliver quality better than you can expect in the run-of-the-mill gym-grade elliptical. First and foremost; you need to take an account of the size of the room where you plan to place the treadmill. This is even more important than performance; if it cannot be folded up or allowed to occupy its own compact space, then what good are the machine’s capabilities? Out of our top Treadmill Reviews we have picked 5 of the Best Small Treadmills for the Home. Next, the attributes of performance and prize tie in terms of importance. Although there are some very expensive and attractive treadmills out there, at the end of the day, it is a fundamentally straightforward machine – you simply need to be able to run on it, and have a few options such as uphill and stat measurements. It should be well-built, with a uniform pad that hugs the moving surface without slippage. With this in mind, consider the following excellent small treadmills that will help you burn calories this year. Easy to accelerate speeds moving 1/10 mph and up. A bit more high-end than the other ones on this list at $1299, the Sole Fitness F65 treadmill is one of the more capable home fitness machines you’d find. The price can be a small problem, which is why they’ve included downgraded versions that go for $970 and $799. While it may be a little less compact than some of the options here it folds to become a nice compact treadmill. The primary difference between them is that the lower-priced ones are smaller, ranging from 290 total pounds to 165 pounds. The treadmill sports a powerful motor, with various lifetime and annual warranties from the manufacturer . Somewhat surprisingly for such a powerhouse, it is also a folding treadmill. At an impressive $110, this is the budget treadmill of the group – and it definitely does the job of burning calories. It is very sturdy, and folds upright to minimize its profile for easy storage. It has a flywheel and requires no electricity – just your manual labor powers it for a smooth jog or run. The LCD is powered by a couple of batteries, which is the only concession it makes to modernity. 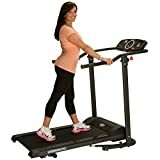 Make no mistake, this Best Choice Products contribution to the treadmill market gives you a full cardiovascular workout, as determined by your own effort. Frankly, it’s the treadmill that defeats all excuses. Whether you choose to walk or to run, it benefits your health tremendously. For slightly under $300, The Weslo Cadence G5.9 treadmill comes with just about everything a home-runner would need. The track-pad is well-cushioned, you can position and incline for even more of a calorie-burning workout, and it is highly-programmable with multiple certified training programs in the onboard computer. And, best of all, it should be an easy fit in your room – the length is shorter than the average American male, at 5’7”. It’s also surprisingly light, despite being so sturdy, at just 120 pounds when shipped. Although it is definitely built for helping you burn loads of calories, the multiple settings allow a low impact workout that almost anyone can benefit from.